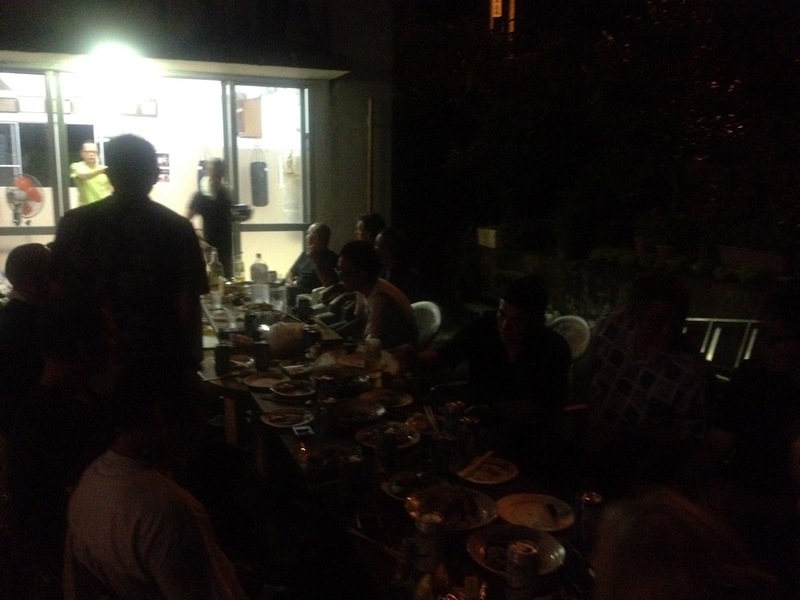 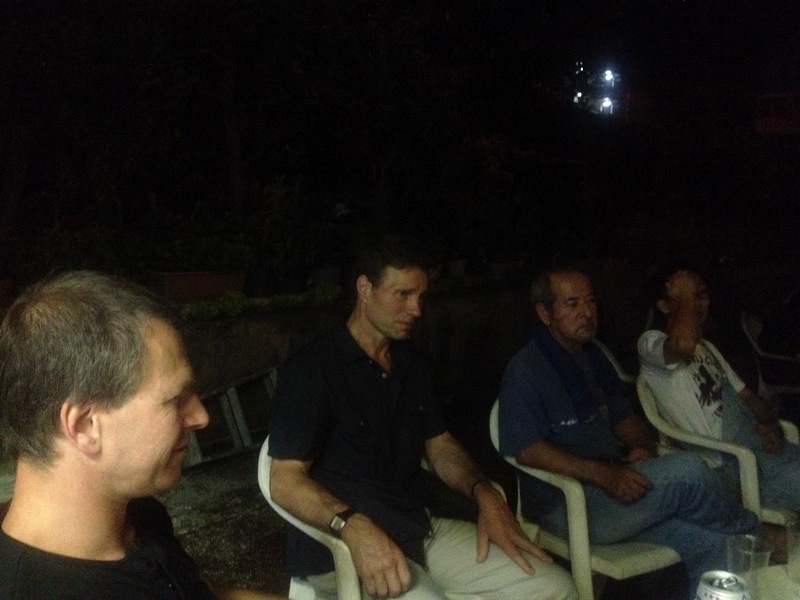 We hosted a barbecue on August 19th. 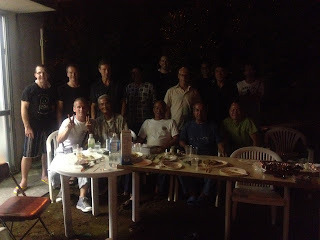 People from the Minei dojo, Canada, Australia and Belgium got together talking about Karate, celebrations and the Minei dojo. Formed was a deeper and more lasting friendship. The Minei dojo would like to thank you to all for the huge success of the Minei dojo's 40th anniversary demonstration and celebrations. 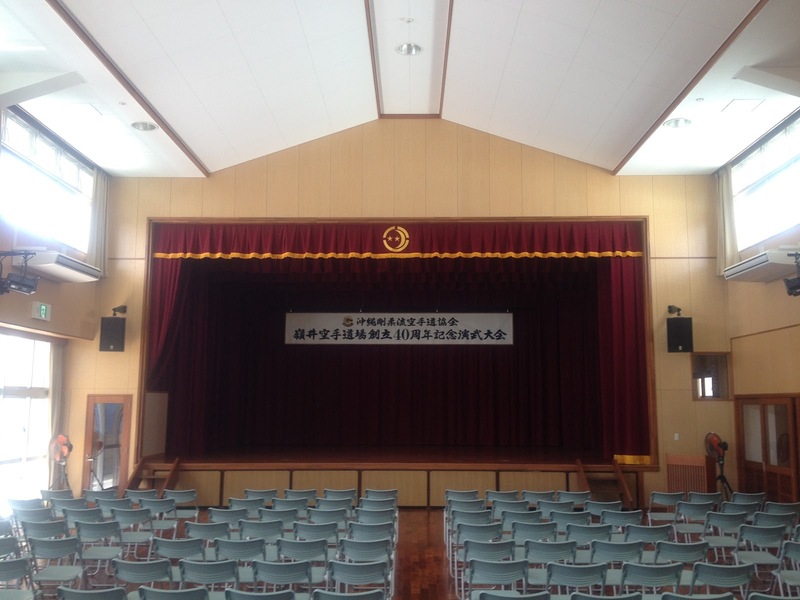 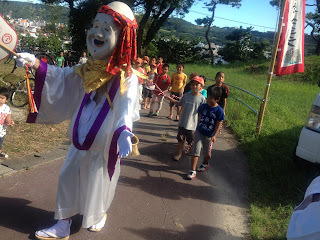 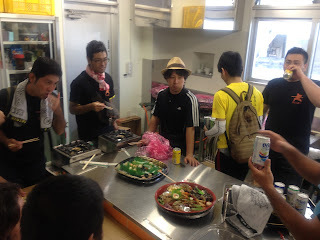 It was made a huge success with immeasurable help from OGKK, Tsuhako community hall, Tsuhako bojutsu Hozonkai, Tsuhako Youth association and everybodyelse. 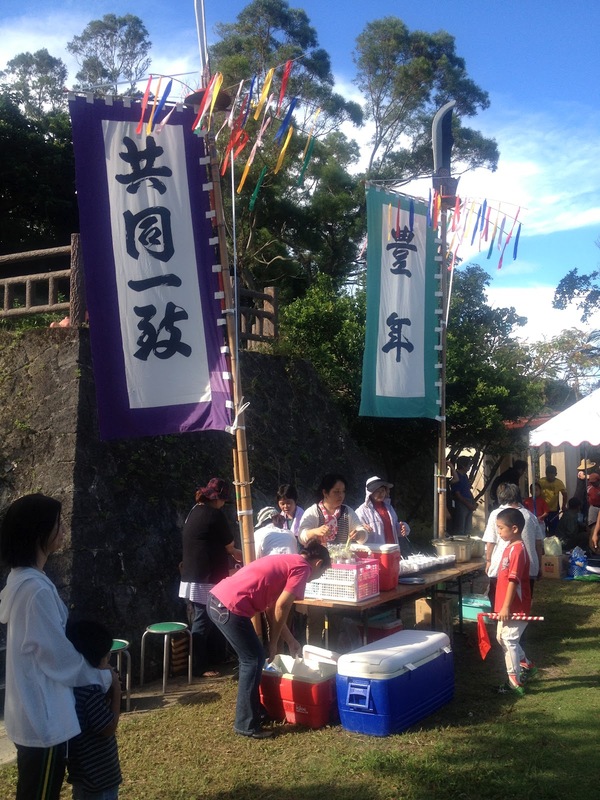 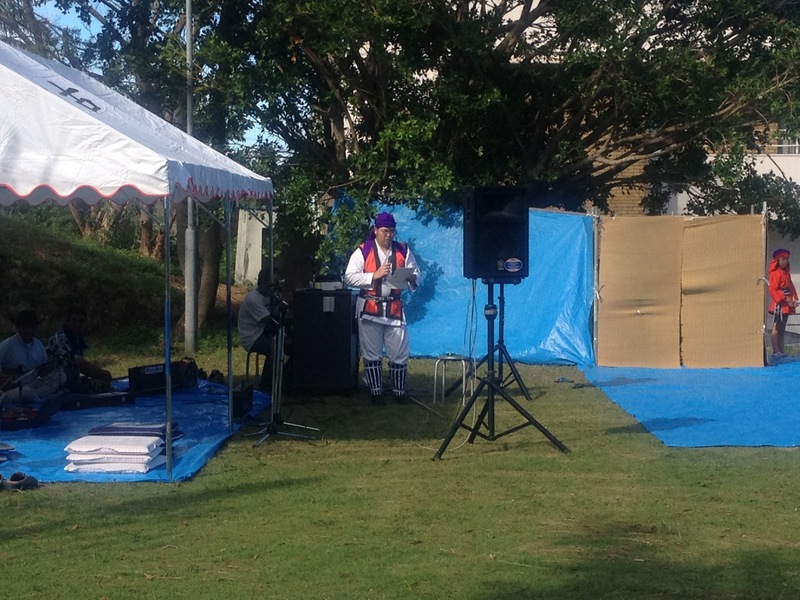 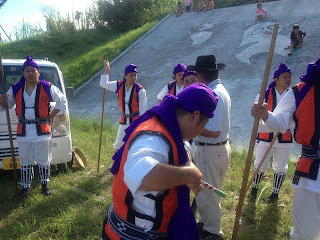 Tsuhako Bojutsu Hozonkai people, their help was big help. 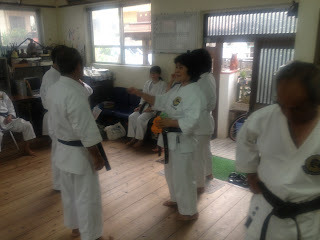 After training, this's got to be it! 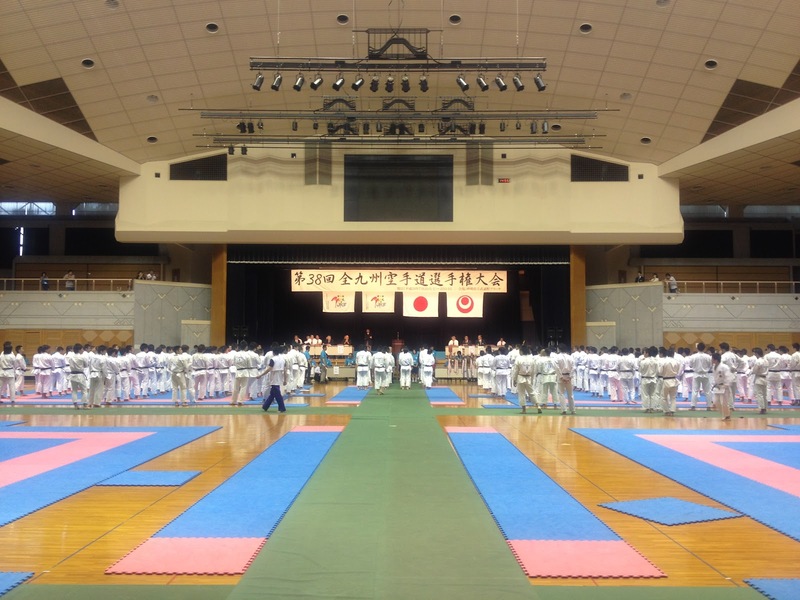 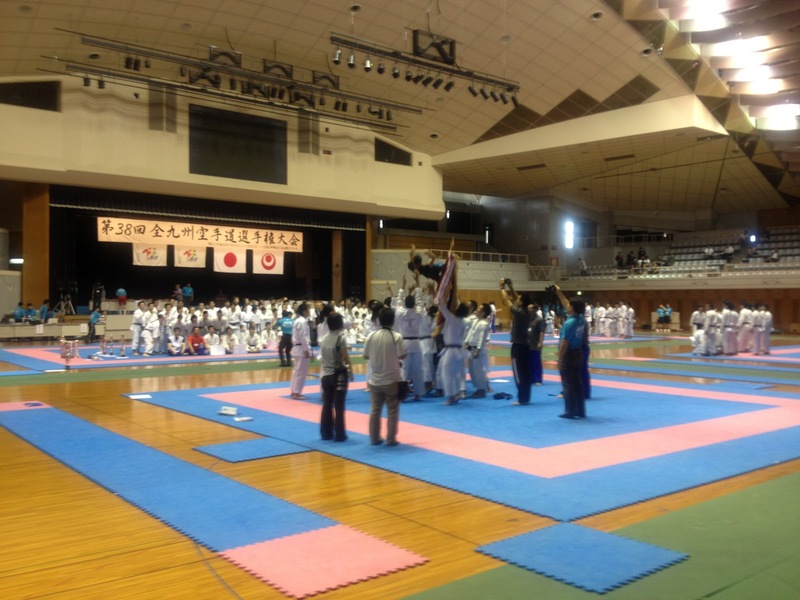 The 38th All Kyushu Karatedo Championship was held in Okinawa Perfectural Budokan in Naha City on July 21st & 22nd. 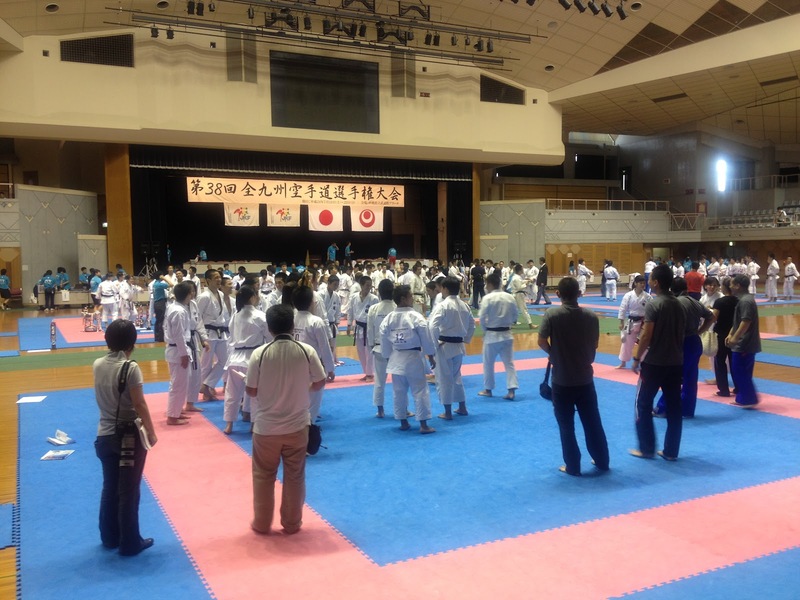 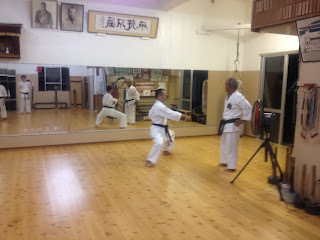 It's great honor that Some from the Minei dojo worked there as competition assitants. Okinawa team tossing their coaches into the air in celebration. 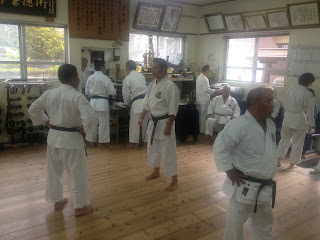 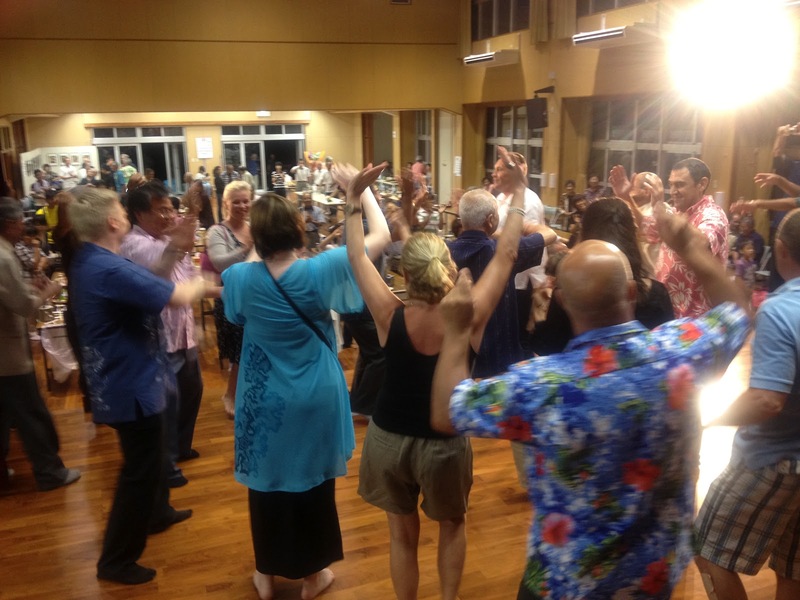 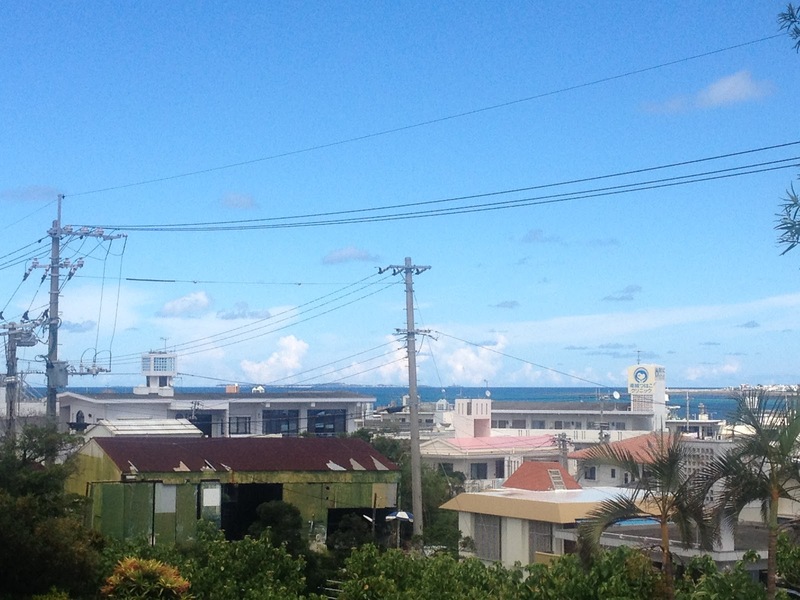 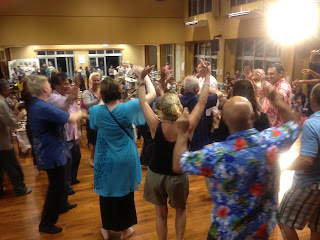 Masters throughout the country were in Naha city for the General Assembly of OGKK. The finacial postion of OGKK as of March 31st 2011 has been audited and has been approved. 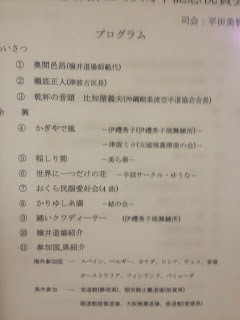 Also activities in 2011 has been reported. 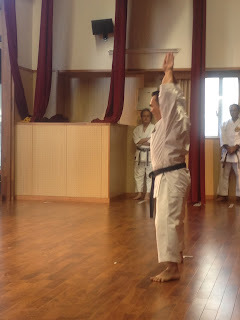 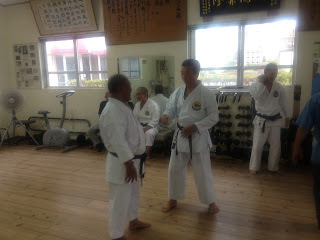 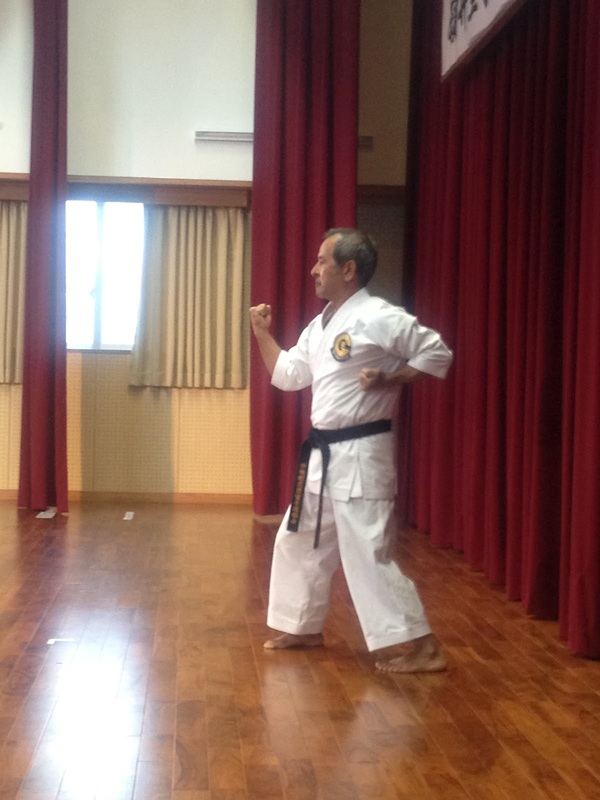 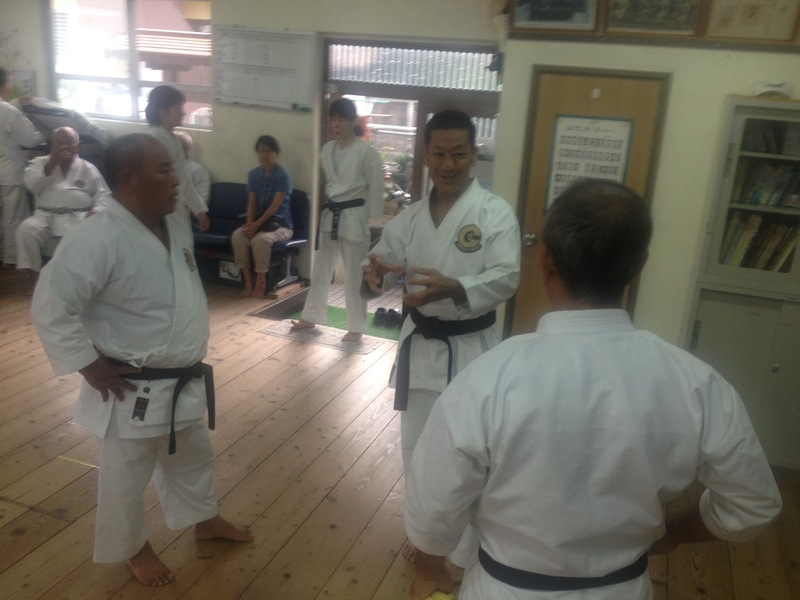 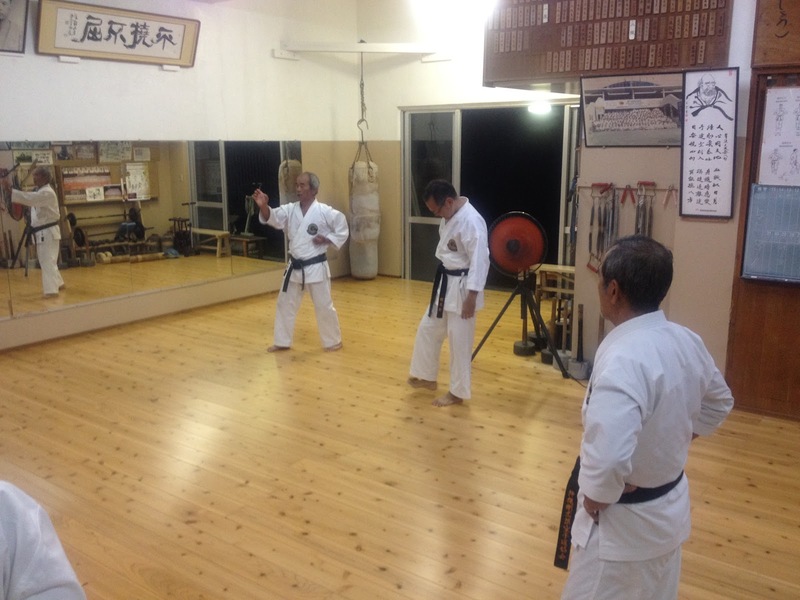 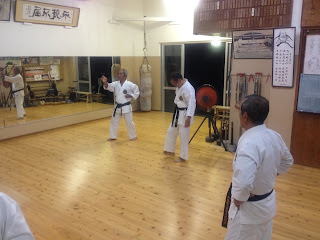 It was reported that Teruya sensei, Vice Chairman, had been selected as the Chairman of Okinawa Prefectural Karatedo Federation. 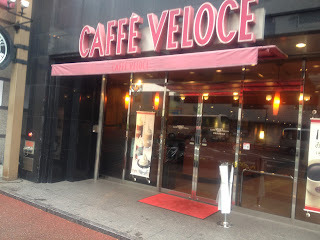 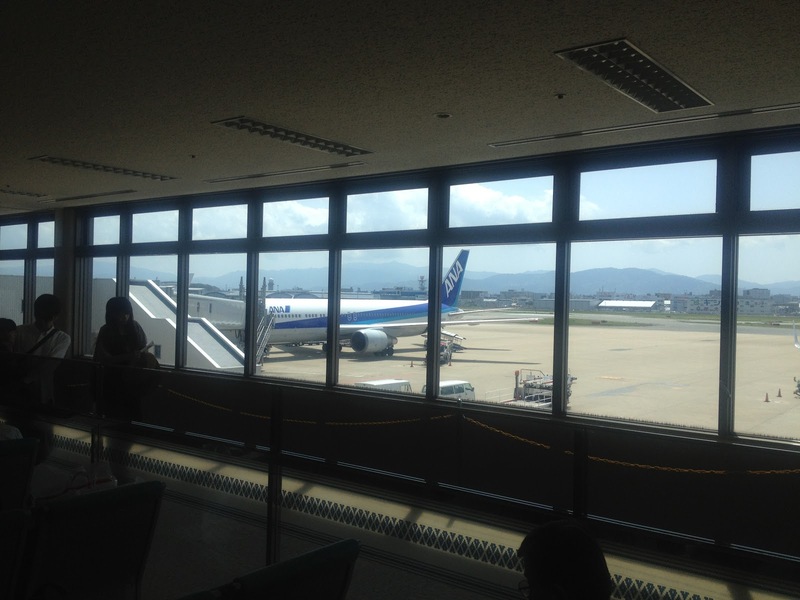 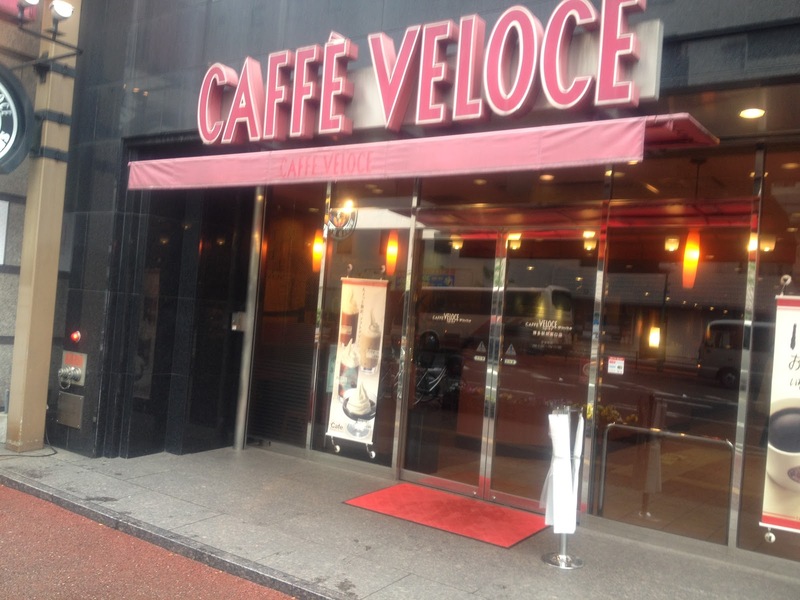 Went on a business trip to Fukuoka city last weekend. 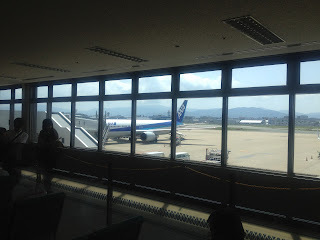 Next time make a personal trip upthere for Shochu or Japanese sake.